Just this year the A+ Scholarship Program became available to students who attend private high schools. Lutheran High School South is currently in the final stages of becoming a participating designated A+ School. The program will be available to students grades 9-12. 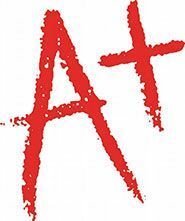 Students who meet the guidelines of the A+ program will receive an A+ stamp on the Lutheran South diploma. Perform at least 50 hours of unpaid tutoring/mentoring of which up to 25% (12 hours) may include job shadowing. Achieve a score of proficient or advanced on the Algebra I end-of-course exam or a higher-level DESE approved end-of-course exam in mathematics, or earn the required ACT minimum mathematics score based on GPA.